It's time to check in. Dead & Breakfast, as the name punnily suggests, is about building a hotel. You want five stars - five stars, that is, in a database that allocates stars to the worst hotels, or the most haunted, or simply ones that you should avoid staying at. By incorporating ghosts, zombies, creepy dolls, spiders and bats - as well as an eerie display of colourful poison ivy - you will create a hotel that has your guests not just nail-biting, but full on finger-chewing. Building your hotel in Dead & Breakfast happens around a haunted carousel of tiles - three of which, due to inconvenient ghostly activities, will be inaccessible on your turn. Once you choose a tile, the ghost will move there, allowing you to influence what tiles others can choose from on their turn. 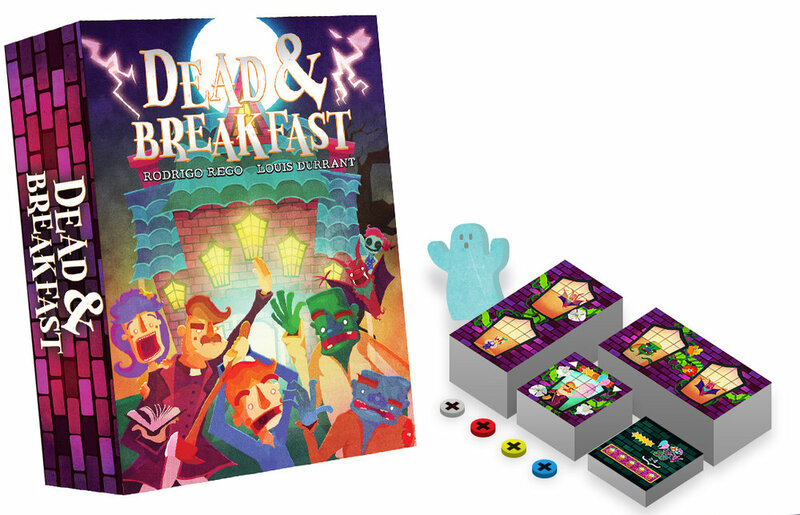 Dead & Breakfast takes a matter of minutes to learn, but is infamously hard to master - there is little luck involved, and players will reap the benefit of thinking ahead a few turns to try and create a solid plan. 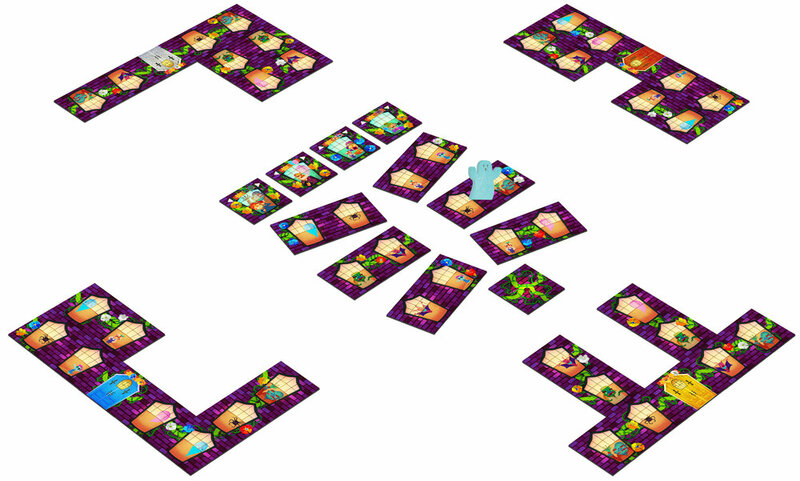 With the addition of unique scoring tiles for advanced games, there's no reason to not keep playing Dead & Breakfast! Considering the art direction began with a burrito napkin with 'cute evil?!' 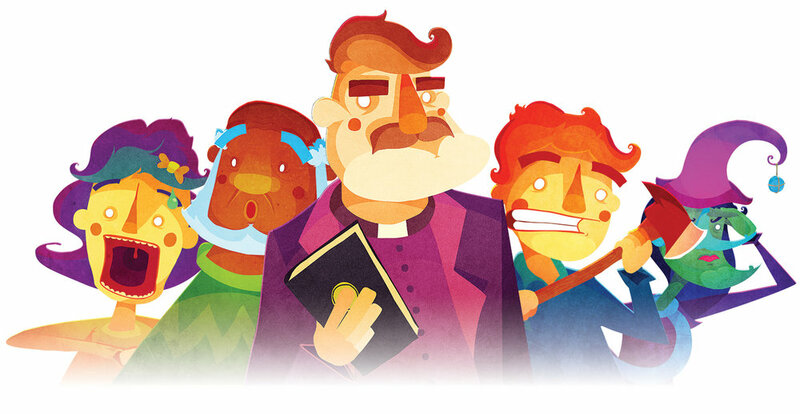 scrawled on it, the art for Dead & Breakfast turned out exquisitely! Crafted by Braincrack-favourite Louis Durrant, the art for Dead & Breakfast is our favourite combination of creepy, cute, and kid-friendly. Live long and roll high.